Why I Read This book : It was all over the blogosphere and people were calling it the “European Gone Girl” and we all know how much I loved Gone Girl. 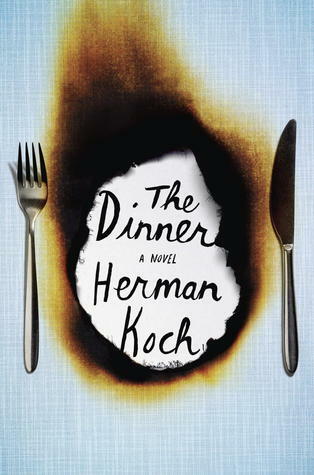 Summary (from Goodreads): An internationally bestselling phenomenon: the darkly suspenseful, highly controversial tale of two families struggling to make the hardest decision of their lives — all over the course of one meal. My Take : So on the surface this book is literally about a dinner. And at first I was bewildered as to how this was going to be like Gone Girl. I mean I like food as much as the next person but I don’t need a 300 page accounting on how you arrived at the restaurant, what you ordered, what everybody was drinking, etc…But much like that book, seemingly trivial details and commonplace occurrences begin to take on sinister overtones. The narrator is completely unreliable and almost unwittingly reveals that he is unreliable through his recounting of past experiences. As you go further and further you realize just how disturbed all of these individuals are! I REALLY enjoyed this book and at the same time disliked it intensely because it made me feel uncomfortable. As a parent I was disturbed immensely by these people and thought about this book for days after finishing it. And honestly, I love that feeling. I love thinking about something I’ve watched or read for days afterwards. There were definitely parts that dragged….especially in the beginning when they were setting up the dinner and ordering the dinner and all of that but in the end I was really excited about this book. Don’t forget to subscribe to receive regular emails from my blog!